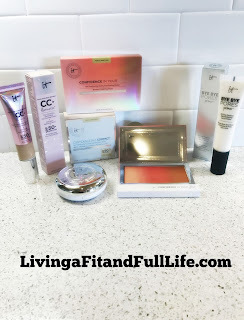 Living a Fit and Full Life: Get Your Glow on this Summer with IT Cosmetics! Experience your best-selling, multitasking, CC+™ Cream with SPF 50+ beauty miracle—now infused with proprietary Drops of Light Technology™ for a subtle touch of radiance! 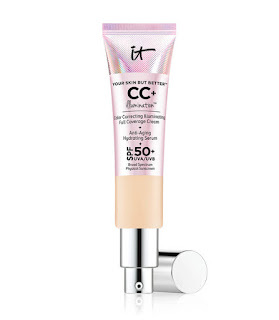 Developed with plastic surgeons, CC+ Illumination™ delivers full, flawless, perfect coverage and protects your skin with SPF 50+ UVA/UVB broad-spectrum physical sunscreen. Clinically shown to give you 179% of skin hydration, improve skin texture and enhance skin brightness without glitter or shimmer, this breakthrough color-correcting cream never creases or cracks and instantly camouflages imperfections including dark spots. Plus, it’s formulated with an advanced anti-aging serum made of hydrolyzed collagen, peptides, niacin, hyaluronic acid, and vitamins A, B, C and E that work in harmony to diffuse the look of wrinkles, minimize pores and give you a more luminous, supple and flawless-looking complexion. 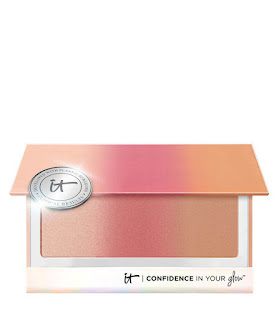 Get your glow on this summer with IT Cosmetics! Summertime is the perfect time to add a few new beauty products to your makeup bag and boy oh boy do I have some amazing IT Cosmetics products to tell you guys about! Bye Bye Pores Primer™ is the perfect base for makeup and does wonders for my skin! Bye Bye Pores Primer minimize shine and creates a smooth barrier for flawless makeup application. I normally have very dry flaky skin but Bye Bye Pores Primer blurs my pores and smooths my skin so that my makeup looks absolutely incredibly. Bye Bye Pores Primer might just be the single most important product in my makeup routine! Your Skin But Better™ CC+ Illumination™ with SPF 50+ delivers full, flawless, perfect coverage and protects your skin with SPF 50+ UVA/UVB broad-spectrum physical sunscreen that is a must during summer. I love the beautiful radiant glow that I get with this product. I also love that it covers up every imperfection with ease and goes on incredibly smooth. Your Skin But Better™ CC+ Illumination™ with SPF 50+ is exactly what my skin thirsts for and is sure to be a new favorite in your makeup bag! Confidence in a Compact™ with SPF 50+ delivers all the skincare benefits of the best-selling Confidence in a Cream™, plus full coverage and SPF 50+ physical sunscreen, in one simple step. Confidence in a Compact™ with SPF 50+ is the quickest way to get me ready in the morning and I love how much time it saves me. It goes on like a dream and stays on all day long. 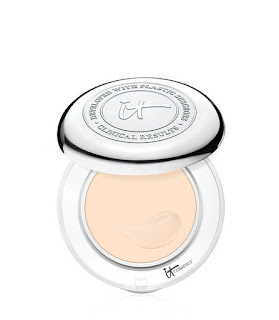 I absolutely love how flawlessly perfect Confidence in a Compact™ with SPF 50+ makes my skin and highly recommend this compact! Confidence in Your Glow™ is the perfect way to get the perfect glow you desire! I absolutely love that it's a blush, bronzer and highlighter in one. It blends in with ease and has the perfect amount of glow to get you noticed this summer! Confidence in Your Glow™ is just what you need in your beauty routine this summer! 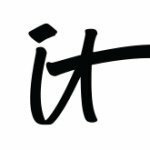 These IT Cosmetics products are absolutely phenomenal and are the perfect way to add a little glow to your summer makeup routine!